In honor of Memorial Day today’s theme is “red, white and blue”. Just a gentle reminder, Memorial Day is to honor those service members who made the ultimate sacrifice in defending the freedom we enjoy today. 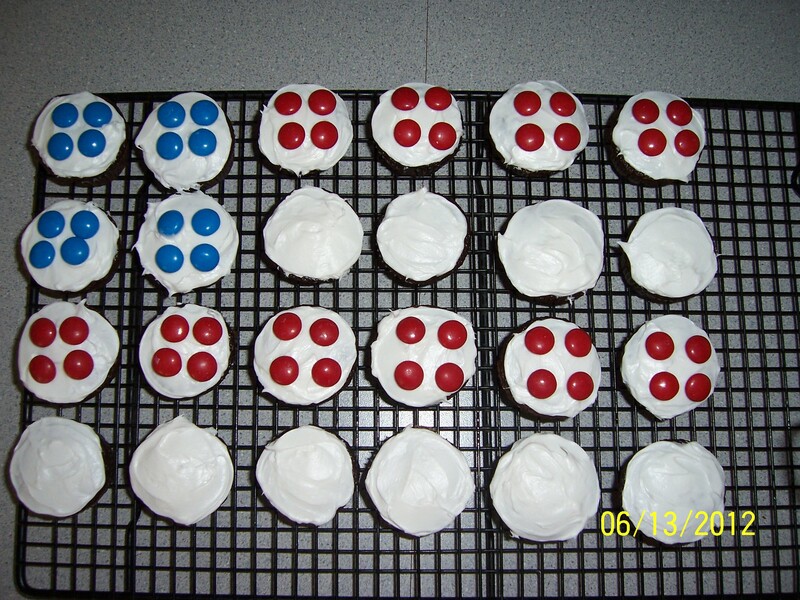 My attempt at a cupcake flag. 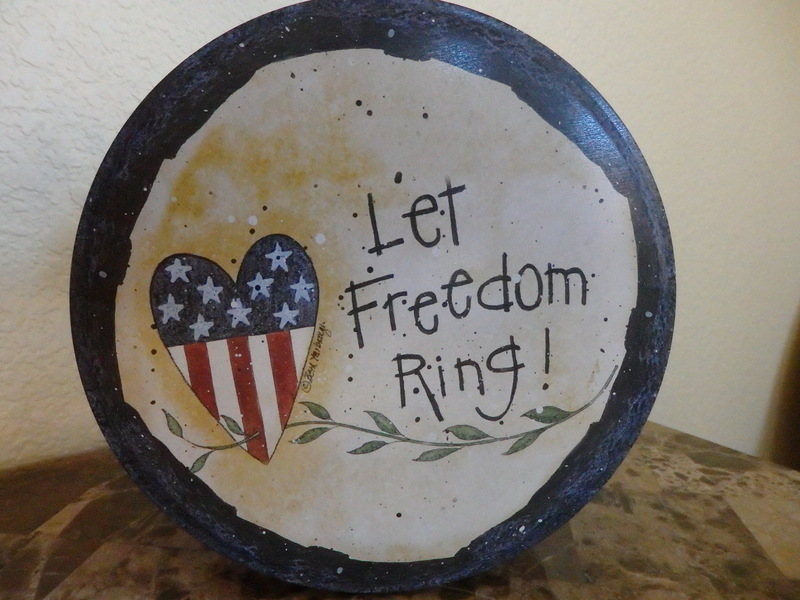 One of my many patriotic decorations I display from Memorial Day through 4th of July. 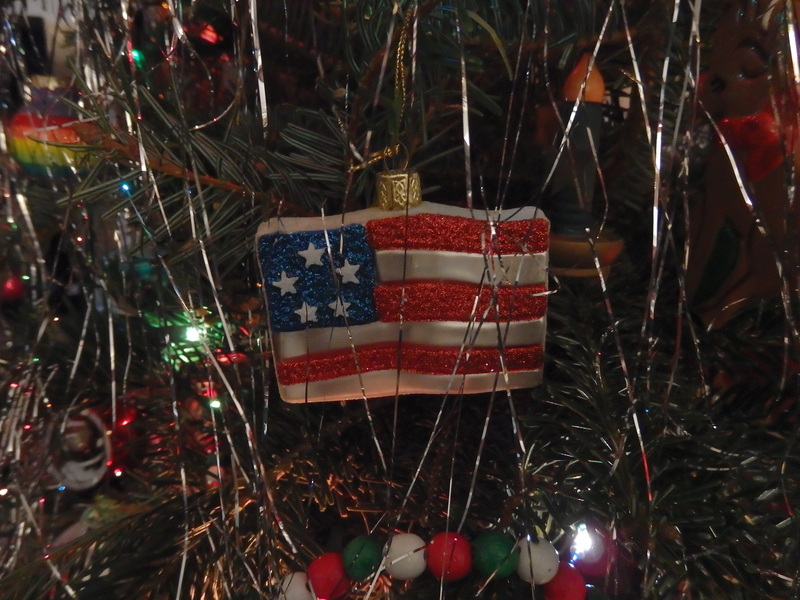 Even at Christmas I like to display my patriotism. 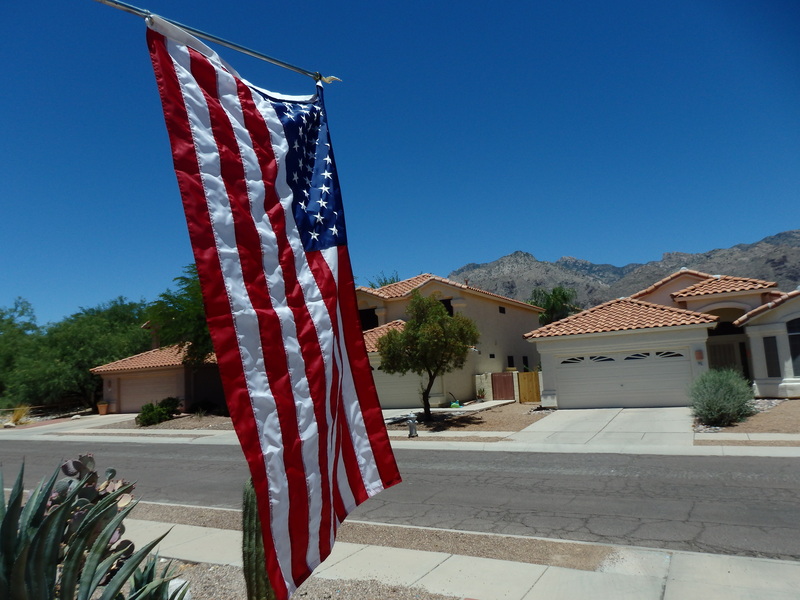 Don’t forget to fly your flag and have a safe holiday weekend.